Either you're going to think that this is just too much, who plans a paw-tay for their pup, or you're going to think this is absolutely genius and that you wished you thought of it yourself. Either way, this one-of-a-kind paw-tay was just too fun to pass up! Roper is a Walker Hound, Border-Collie mix rescue pup. Named after a street in Edmonton, or alternatively, known as Mr. Roper, his energy, hound howl, and friendliness is contagious. 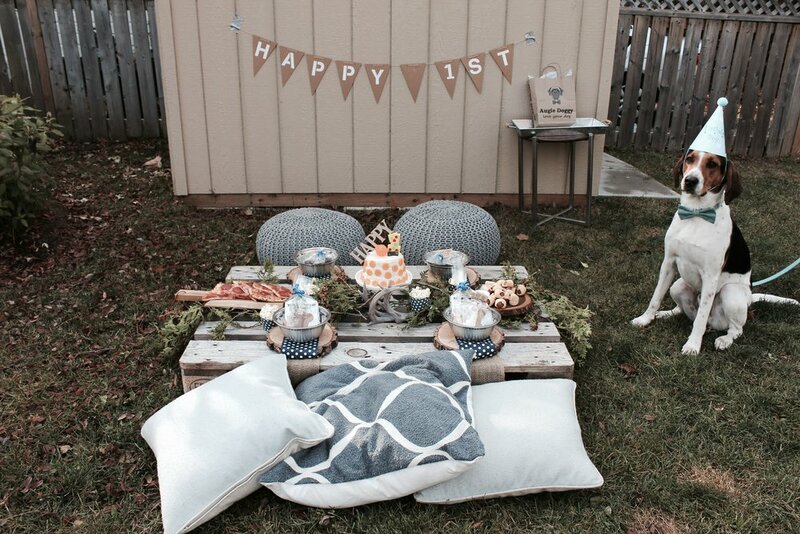 We just couldn't resist throwing a First Birthday Party and we knew exactly what we were going to do to make it amazing. Here it is! Create a guest list. Include furry friends and their hoomans. Create a personalized invite - find an adorable puppy photo because, who can decline an invite with a cute puppy on it. Oh and, make it funny. Establish a food list. Don't forget the hoomans...but let's be serious, Roper's favourite foods ARE hooman food...divide to ensure there is no cross-contamination. Food list: pizza, cheese, cheesy popcorn, dogs-in-blankets, jerky. Check! Design setup. Rustic picnic in the backyard - perfect! The essential birthday banner, gift table, and toys to share. Birthday Boy outfit...now this can be tricky but aim for easy on and off items to avoid major protest. Bowtie because, every little boy looks adorable in a bowtie, right? and birthday hat. Oh-so-cute! Birthday Cake. As a dog owner, we know that there are just some things our pups shouldn't eat. BUT a birthday MUST have a birthday cake. No questions asked. 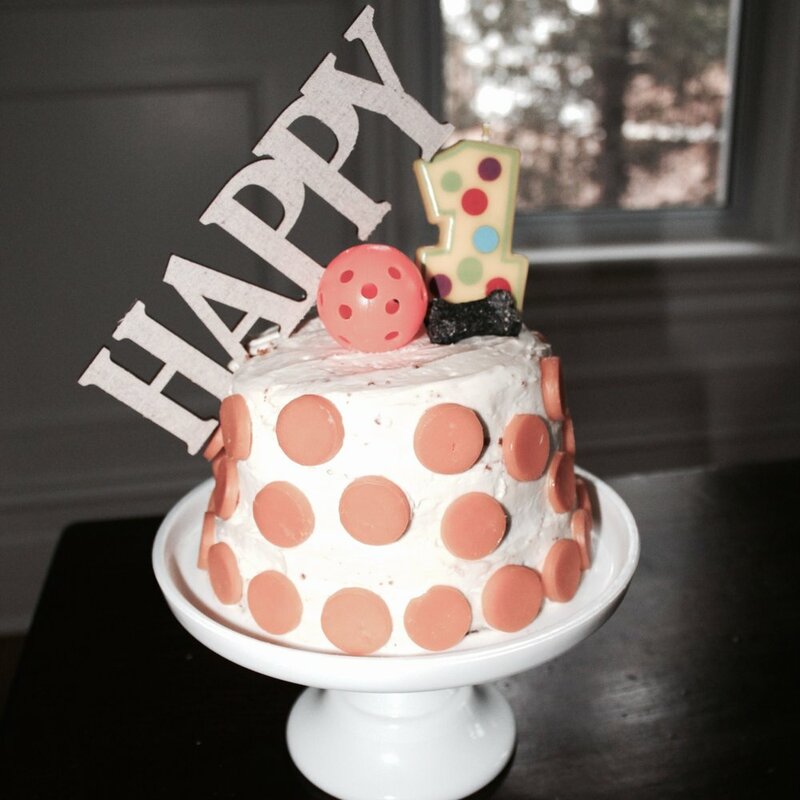 Our solution: layered peanut butter cookie cake, with cream cheese icing, decorated with yellow cheese polka dots, topped with a ball, treat, and candle. Wow! It can't be more perfect than that! Loot-bags. It's only classy to thank your guests for attending your party and there are no exceptions for a paw-tay either. We opted for custom favours with local rope toys, treats, sealed with a thank you message and rope because it is after all, a ropin' paw-tay. Watch as the furry friends run wild outside. Laugh when they decide to go into the pond. Observe how dirty they are. Realize, that you too are dirty. Acknowledge just HOW dirty they are. Then realize again, that you too are EQUALLY as dirty. Laugh with friends and think...I LOVE MY DOG. 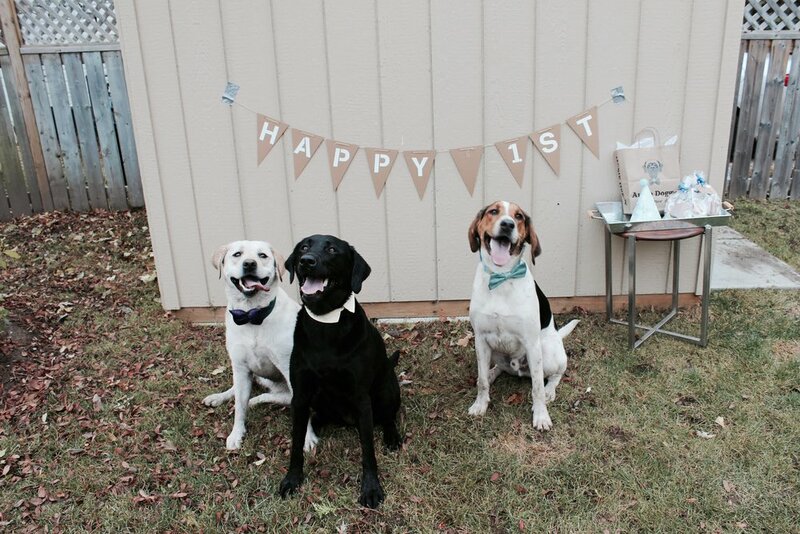 From this paw-tay to yours, cheers to many more to come. Happy Birthday Roper!